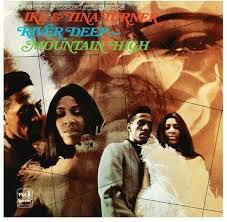 "River Deep – Mountain High" is a 1966 single by Ike & Tina Turner. Considered by producer Phil Spector to be his best work, Written by Spector, Jeff Barry, and Ellie Greenwich, "River Deep – Mountain High" was among the first recordings that Ike & Tina Turner did for Phil Spector's Philles Records. Spector was well aware of Ike Turner's controlling attitude in the studio, and therefore he drafted an unusual contract: the River Deep – Mountain High album and single would be credited to "Ike & Tina Turner", but Ike was paid $20,000 to stay away from the studio, and only Tina Turner's vocals would be used on the record. The track was recorded using Spector's "Wall of Sound" production technique, cost a then-unheard-of $22,000, and required 21 session musicians and 21 background vocalists. Due to Spector's perfectionism in the studio, he made Tina Turner sing the song over and over for several hours until he felt he had the perfect vocal take for the song. She recalled, "I must have sung that 500,000 times. I was drenched with sweat. I had to take my shirt off and stand there in my bra to sing.” The recording of the song was later dramatized for Tina Turner's biographical film, "What's Love Got to Do with it ". 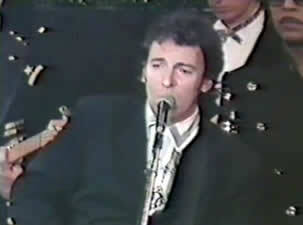 The original Ike & Tina Turner version of the song was re-released the same year to a more receptive public, and since then, has gained the recognition Spector wanted from the record.